By far the most famous of them all. The Paradiso has kindly been the host to some of the biggest shows in the world, including the most famous of guests. Great, bright, and an amazing eye for detail. This spiegeltent lives for theater, and you can feel the passion. 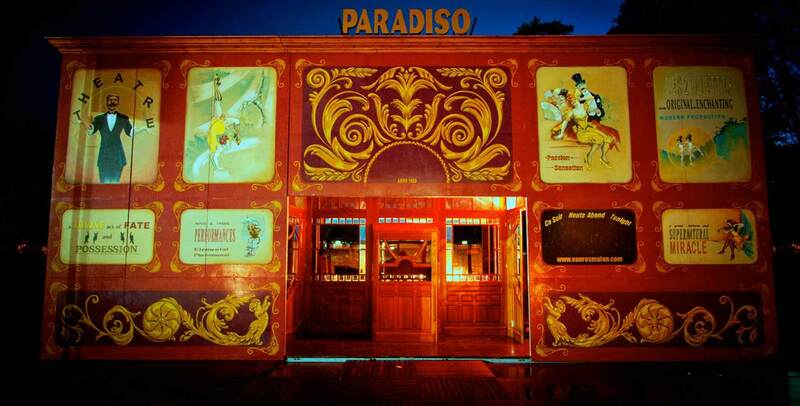 The Paradiso Spiegeltent looks like a theater, and is meant to be one. You should feel the action from the big stage until the booths. The Paradiso is big, but not so big that it loses its charm. 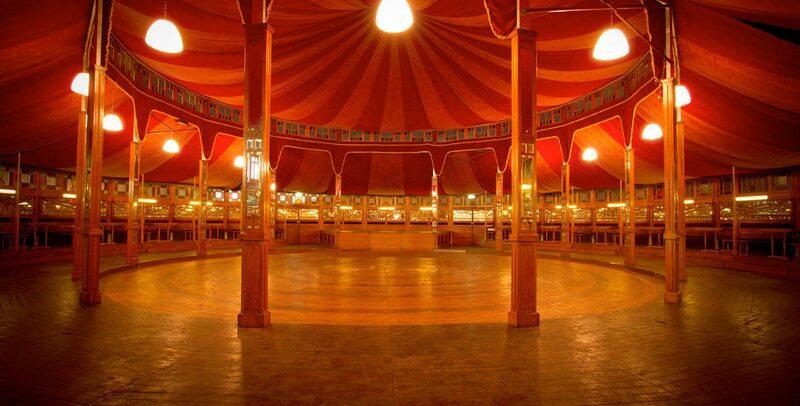 This balance is the reason so many great artists have performed in this amazing spiegeltent. In the past a big dance organ would be the main party attraction in the spiegeltent. As the dance organs became bigger, so did the spiegeltent. 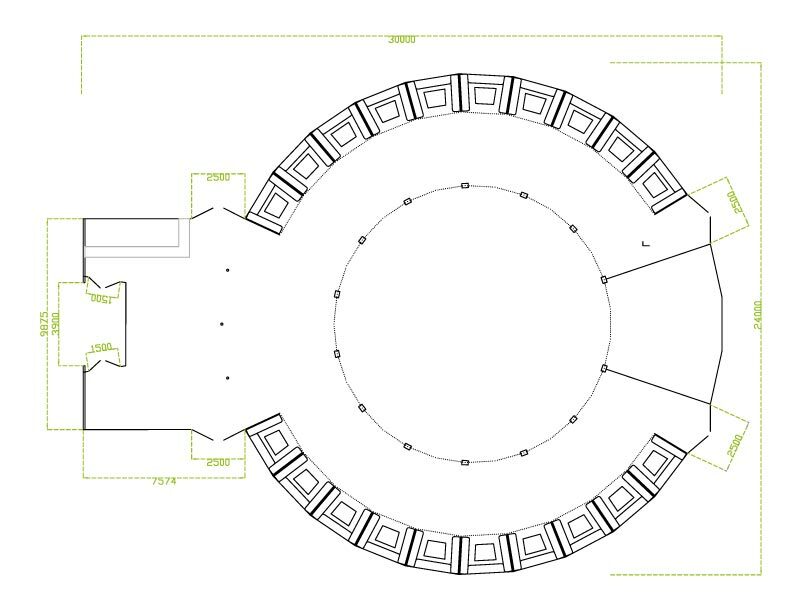 The interiors were adapted, and enlarged, and the pillars had to stand further apart. Ideal in modern days, because the stage (where the barrel organ used to be) is visible from every corner. Nowadays the dance organs are replaced by big bands, but the idea remains the same. 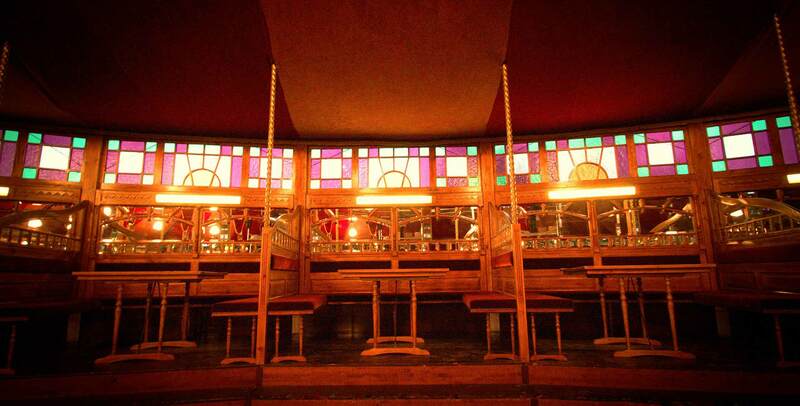 Whatever the occasion, the Paradiso Spiegeltent is ready for it. From London to Rome, from Australia to the US, the Paradiso has seen it all. This spiegeltent is not giving in, and will not rest until the whole world has heard of her. 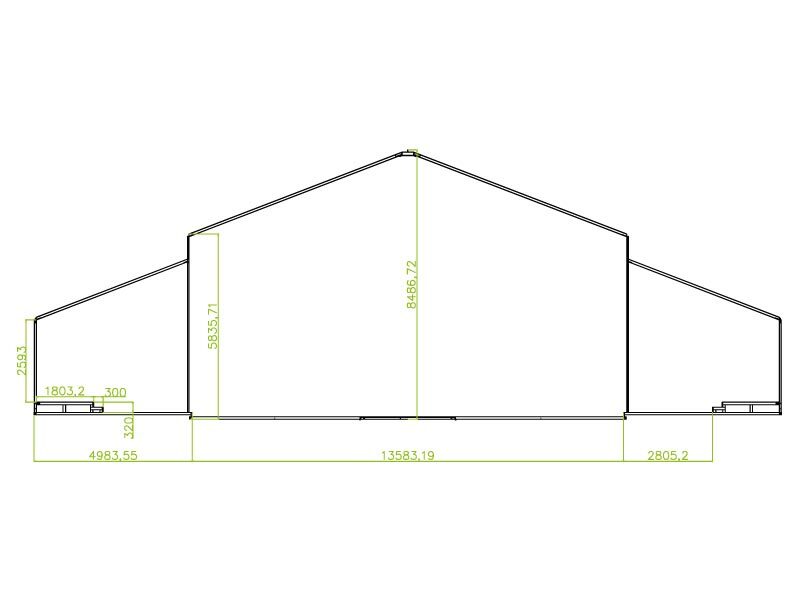 Interested in our Paradiso Spiegeltent? Be sure to visit our spiegeltent hire page.